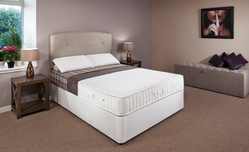 At Robinsons Beds we custom make single and double guest beds, occasional, stowaway and pull-out beds with a choice of good quality mattresses made right here in Britain and upholstered in the material of your choice! See our Trend Stowaway Beds for ideas. Hidden away and easily pulled out, a guest bed offers a quick, practical and comfortable solution for short stay visitors. 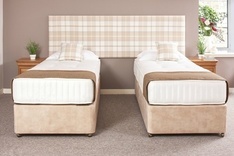 Guarantee your guests the treat of a great night's sleep with one of our single or double guest or trundle beds available directly in our Glasgow showroom or from our online shop. If you are short of space or you need beds for guests but don't want to give up all the floorspace to a double bed then our single Stowaway Divan Bed is the perfect solution. This has a secondary single guest bed stored in the base meaning it can be used either as a single bed, two single beds and also as a double bed meaning that it will suit multiple situations while saving on floor and room space. Made in our Glasgow workshop our stowaway bed set can be made in a range of colours with an optional upholstered headboard so please don't hesitate to contact us to discuss. 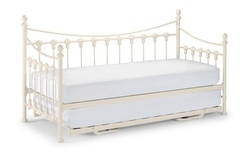 We also sell the Amelia ornate metal day bed with a hidden trundle bed underneath. This is a beautiful piece of bedroom furniture which is ideal as a young girl's bed at night, a useful couch for sitting and playing on during the day and that stowaway bed handy for sleepovers! 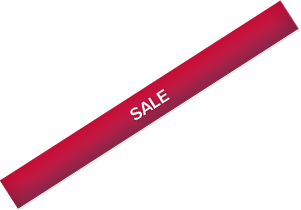 We deliver throughout the UK including to London, Edinburgh, Manchester, Birmingham, Liverpool, Newcastle, Cardiff, Glasgow, Aberdeen, Brighton, Kent, Surrey, East & West Sussex, Lincolnshire, Nottinghamshire, Leicestershire, Derbyshire, Yorkshire, Suffolk, Hertfordshire, Bedfordshire, Buckinghamshire, Berkshire, Oxfordshire, Cambridgeshire, County Durham, Wiltshire, Hampshire, the Isle of Wight, Somerset, Dorset, Devon & Cornwall, Gloucestershire, Cheshire, Shropshire, the Midlands, Norfolk & East Anglia, all parts of Wales, Strathclyde, Argyll & Bute, Perthshire and the Highlands of Scotland. 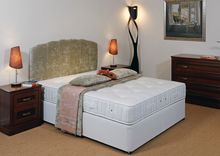 Your guests won't want to leave once they've spent a night on a Robinsons Bed!